Since I am currently in Alabama, this week’s Friday Top 5 will be 5 of my most favorite things to do here! WATCH IT RAIN! Wow, there have been some awesome storms here in the last couple of weeks! It is weird to me to be able to watch it rain…HARD…for a few HOURS! That’s right you Arizonans…HOURS! It’s a good thing my cubicle has a wall of windows! 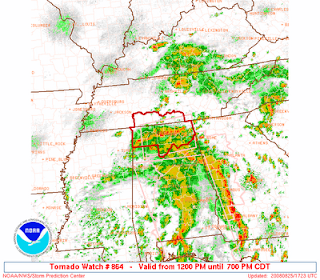 That red box on the radar below is the “Tornado Watch Box”. And Huntsville is pretty much exactly in the center. See the full scale Saturn Five model every morning as I’m driving to work. 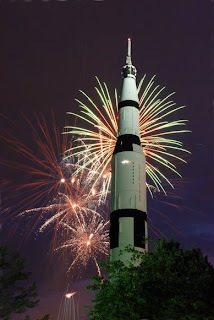 If you ever come to Huntsville you will be amazed at how tall the Saturn Five is in comparison to everything else. Currently I use it to orient myself around town. 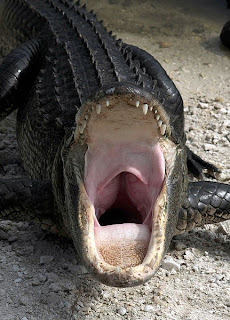 See Chris’s aunt wrestle an alligator. Yes, you heard that right! A few weekends ago Chris decided we should attend the family reunion in Gadsden, AL. Buck (Chris’s dad) always says that “Huntsville is just a short drive from Alabama.” Well the trip to Gadsden illustrated this phrase well. We pulled up to a log cabin dwelling (running water and electricity were questionable) complete with a porch full of snakes (in cages), a ’69 super beetle and Chris’s aunt Nancy sporting an Alice Cooper T-shirt. And yes, she also happens to have a pet alligator which we got to see her wrestle. Wow. At least there was some really good BBQ! 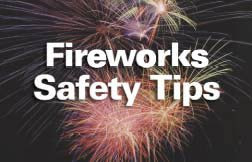 1) Locate some cheap fireworks. What I mean by this is buy the ones that the firework sellers think may have been damaged—it makes the whole situation a lot more interesting! 2) Learn how to use a lighter—I am still working on this one, currently I have been using a grill flame thrower! 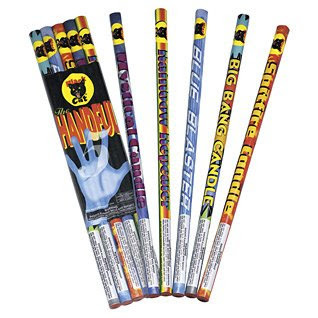 3) Light your firework of choice (mine are roman candles or bottle rockets!)! 5) Watch the target jump up and down, yell some obscenities or fake actually getting hurt. 6) SUCCESS! Repeat several times for most enjoyment! First about Gadsden... ok nevermind Gadsden, but the fireworks... those really do freakin hurt. did u miss the BURN MARKS or BRUISES on everyone else? (note to self: never give April a large roman candle.) And about number one, I still have nightmares about that. That hall way always scares me, I have always been afraid something is gunna jump out at me, so when something actually did I literally almost crapped myself. YOU STINK! Good one Ape. Chris needed it. Say Chris she does that all the time at home. Trust me.